The vision of Rohit Reddy is now ready to live. Signature One – Real Estate Developer in Hyderabad. Behind every superlative success is someone’s passion, someone’s relentless dedication and above all a remarkable vision. 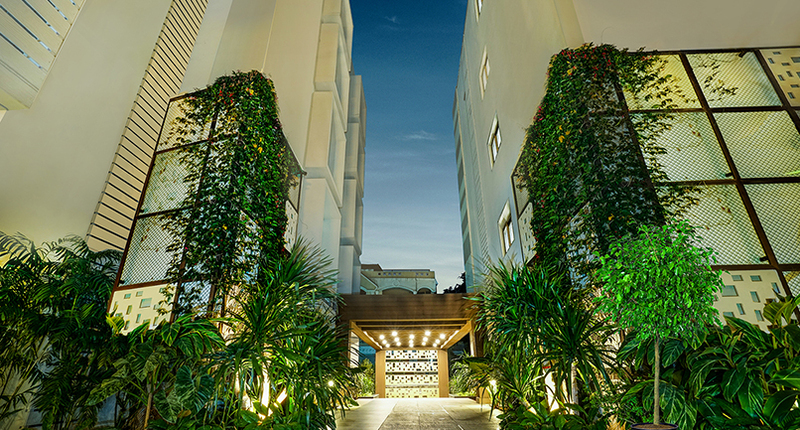 Signature One by Rohit Reddy, the very latest luxurious condominium in Hyderabad, in a very short time, has become the address of captains of the industry and astute business enthusiasts. The ready-to-move-in development Signature One, is right on Road No. 4, Banjara Hills and just minutes away from Hotel Radisson and GVK One. 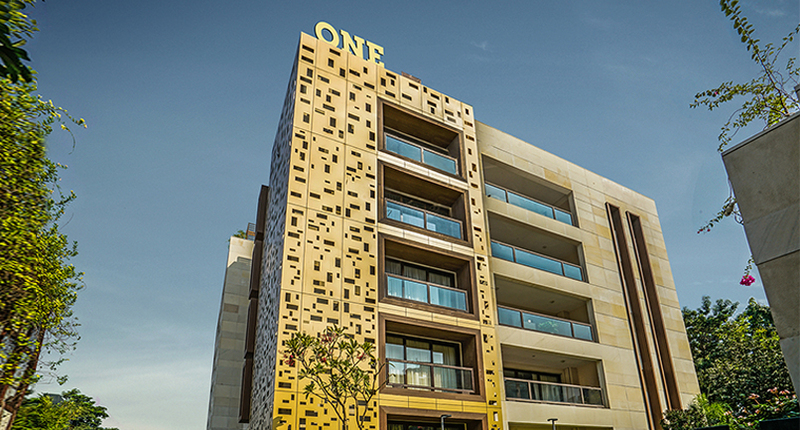 It brings impeccable craftsmanship, innovative design and luxury sophistication to the iconic location of Banjara Hills. Rohit Reddy has personally ensured with his complete involvement, for this address to come out as sophisticated as it is now. Not only is he himself one of the resident (which will ensure that the place keeps evolving and does not lose its charm for decades to come) but Signature One has been made as a testimony of his commitment in creating truly international level of quality and lifestyle. 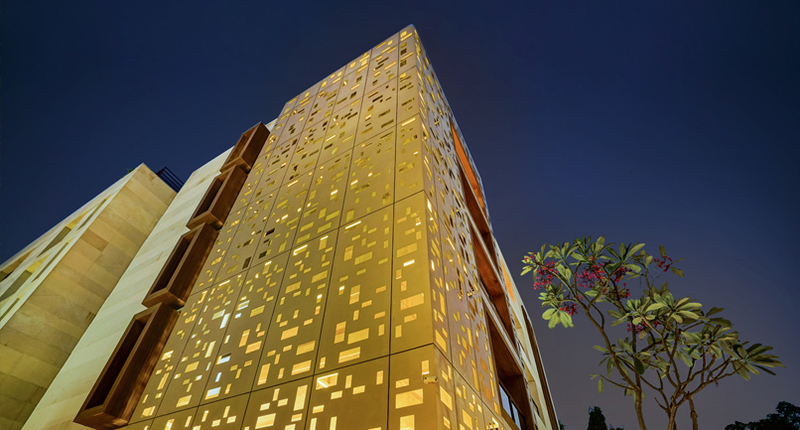 It truly embodies boutique living at its sophisticated best. Think Hyderabad and you think of art, luxury, heritage and fine living. 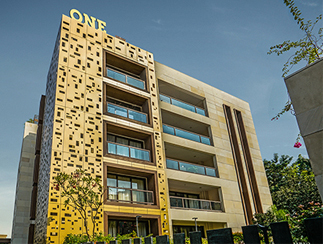 The architecture, jaali-clad façade design and layouts of Signature One, blend all these to create a top-of-the-line living experience right on Road No.4, Banjara Hills. 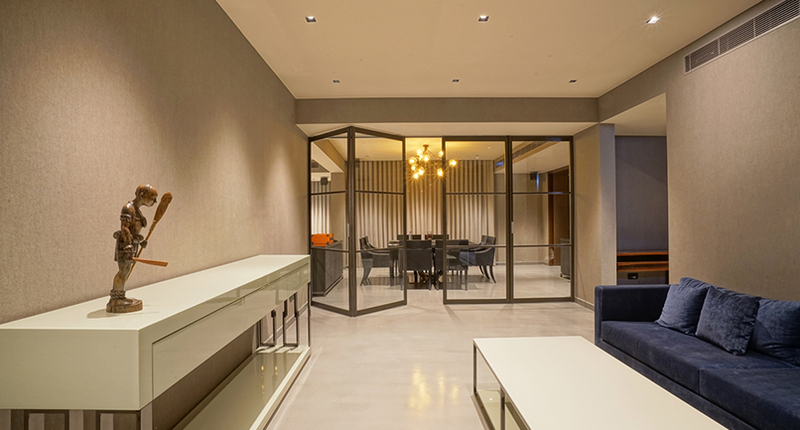 Signature One is a mini sanctuary for discerning 25 families. The attractive and functional sit-outs for the much needed pause create a warm and welcoming environment for you to experience retreat like living. 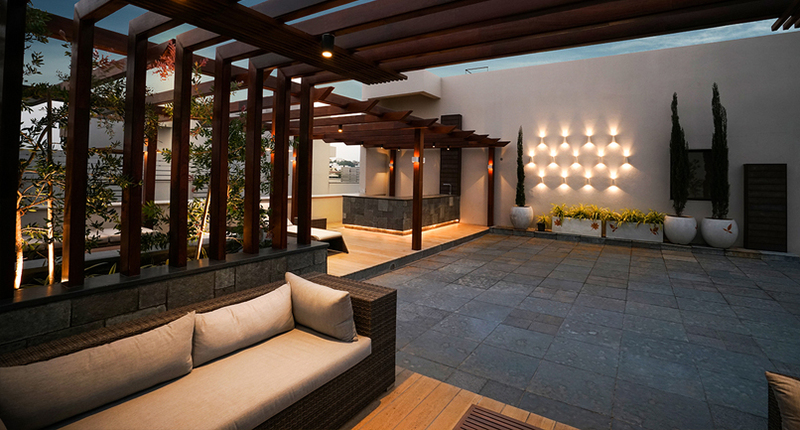 Be it for the solace of the sky and stars above or the mesmerizing view, the terraces at Signature One feature designer cabanas, wooden décor and ambient lighting. Along with this marvelous setting comes the service of a private pantry for you enjoy special occasions with friends and families. 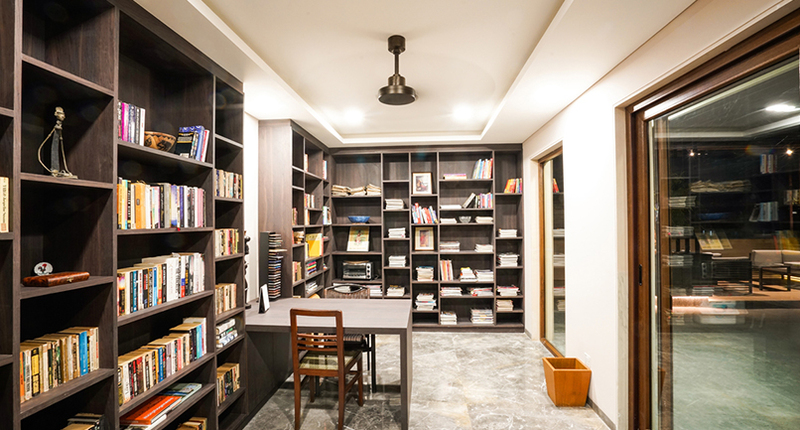 The well-stocked library at Signature One is a rare treat. Whether you are a voracious reader or a casual browser, this terrace top offering is sure to delight you. The Signature Club, spread over a 10,000 sq. ft. brings to you all the facilities that you desire, just an elevator ride away. Be it the luxurious banquet hall with almost 200 people capacity, fully loaded gym, indoor swimming pool, the 13-seater private cinema, mini coffee shop and dedicated spa rooms for your beauty treatments – you have it all; maintained with the Signature 5-star quality. Whatever be your style or your home décor language – minimalist, art deco, contemporary or Scandinavian – the well planned and designed apartments at Signature One provide you the luxury to do it up in the style which works best for you. 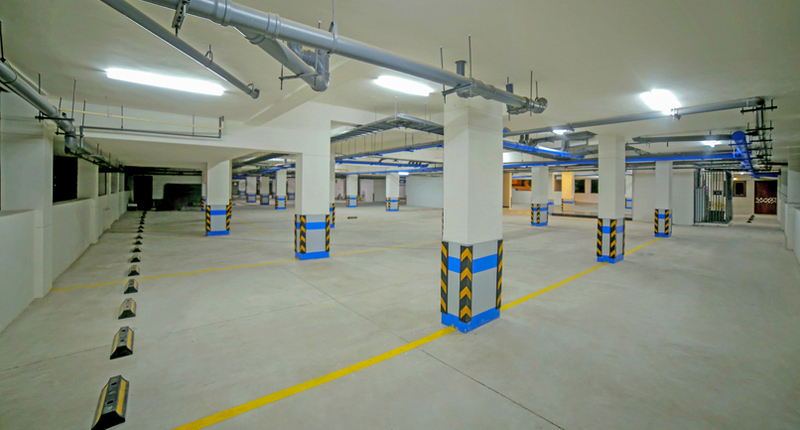 Every care has been taken to ensure that your entry and exit from the parking area is also as smooth as your stay at Signature One. 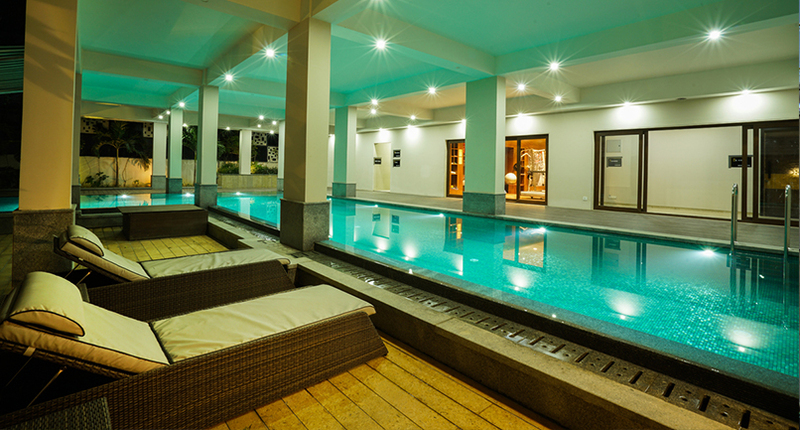 The aesthetics of symmetry, the space and neatness will impress the stringent of the discerning residents. You also have an direct access to your floor of the clubhouse from the parking lot.